Chairvolotti Financial employs a prudent process to investment selection and monitoring. We reinforce continual movement while elevating assumptions and strategy which are part of our decision making process. These principles go hand-in-hand with carrying out our fiduciary responsibilities. We created the “Operations Overview” as a detailed guide for our plan sponsors and plan trustees. The manual includes information regarding your ERISA fiduciary responsibilities and will assist you in preparing for an audit by The Department of Labor. It is designed to guide and help minimize your fiduciary risk. We thoroughly explain our fiduciary process and provide the necessary documentation, including, detailing the responsibilities of the plan sponsor in a clear and concise manner. 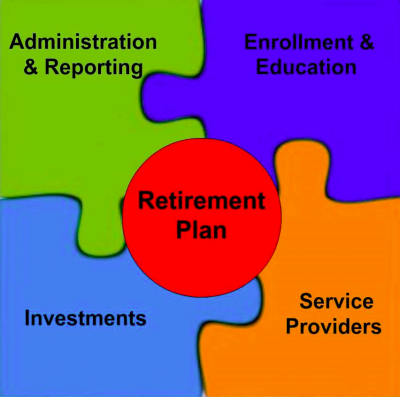 As your Partner we will guide you through the four distinct Fiduciary Functions that encompass your retirement plan. CEFEX is an independent global assessment and certification organization dedicated to helping investment advisers and managers apply the highest standards of fiduciary excellence in the investment process, governance, risk management and operational processes. makes a plan decision, such as selecting investments or choosing vendors, it is necessary to fully evaluate and document the process.